New for 2018: This is the real Silva of Sweden -- available again in the United States for the first time in over 20 years. (The Silva products you have been purchasing for the last 20 years were NOT from Silva of Sweden.) See all of our products by Silva of Sweden. The SILVA Ranger 2.0 is for experienced users and professionals. The Ranger 2.0 has been a global leader when it comes to accuracy, precision and durability for many years. 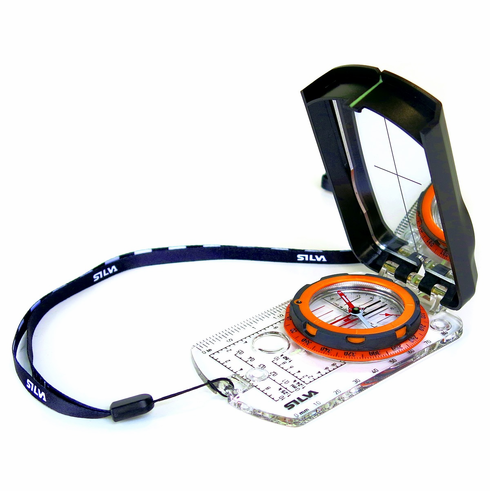 The SILVA Ranger 2.0 comes with two completely new features: a Slope angle card and a Distance lanyard. The slope angle card is great both for detecting avalanche risk and for determining how challenging your journey will be. By knowing the slope angle, you can also judge any extra distance that you need to go due to the angle of the slope. The distance lanyard has two scales on it; 1:25, and 1:50, which facilitates to measure the distance of your hike. The lanyard is soft and bendable for easy to placement directly along your route on the map. If the terrain demands for a mirror sighting compass, Ranger 2.0 is your optimal companion.